With Duolingo you learn a language for free, and simultaneously translate the Web. This is in connection with the video in my previous post regarding Captcha. This site has not yet been launched though, but it's good to have a headstart. Register for Spanish or German, with French, Italian, and Chinese in the works. 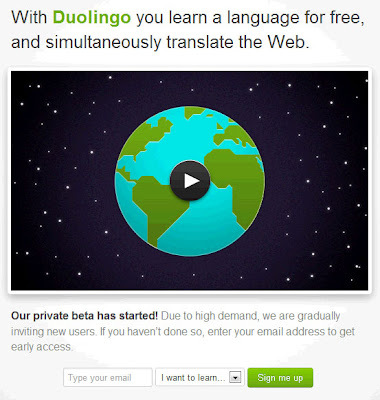 Sign up at the Duolingo website.